I started working at Fleet Feet Sports in 2011 and recently became the full-time Training Program Coordinator. I'm from West Seneca, NY and I started running at 7 years old. I have a degree in Sport Management with a minor in Coaching from SUNY Fredonia. In 2009, I became a NJCAA All American in Cross Country for Erie Community College. At SUNY Fredonia, I ran Cross Country and Track. I was on two school record breaking relays along with attending NCAA Regional Cross Country Championships 2010-2012. I coached at Mount Mercy Academy for the 2014 Track and Cross Country seasons. I have completed a haf marathon in 2013 but thrive on 5k's! My goal for 2015 is to run a full marathon and hike part of the Appalachian trail. Rosellen began running her junior year of college as an exercise in self-discipline. 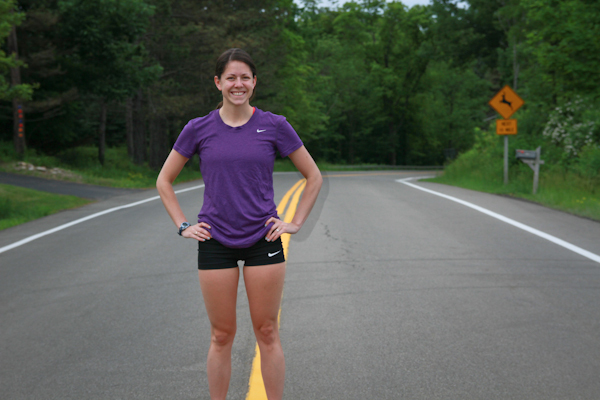 After completing her first half marathon in the fall of 2008, running has been an important part of her life. She remained a runner throughout her Peace Corps service in El Salvador where she was affectionately known as "La Gringa loca que siempre está corriendo." This spring, Rosellen has run two half marathons and is looking forward to completing her first full marathon in the fall. When she's not analyzing data at her day job or testing out the latest trainers on her quest for the elusive perfect running shoe, you'll find her on her mat practicing power yoga. Just ask to see her forearm stand.